‘My Friend of Misery’ is track 11 on the ‘Metallica’ aka “Black” album. The song, originally released on the 1991 album, has only even been performed 18 times including this Soundwave show and only ever before as part of the complete album shows of 2012. It was the first time the song had ever been performed by Metallica in Australia. The setlist itself was designed for the long-term fans. The only song post-1991 was ‘All Nightmare Long’ from their last album ‘Death Magnetic’ in 2008. Metallica are touring Australia as the headline act for the Soundwave Festival. Six South Australian acts will take to the stage at the Adelaide 500 to perform ahead of Cold Chisel, Live and Robbie Williams. Just weeks after both Live and The Tea Party have left Australia they have announced they are coming back. Live will perform with the original line-up in Australia in November. Live has officially announced that the original band is back together to tour the world in 2017 and released new music. 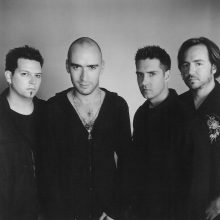 Live has reformed with original singer Ed Kowalczyk. 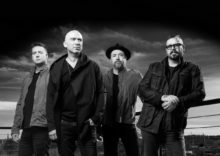 While there has not been an official announcement, all signs point towards lead vocalist Ed Kowalczyk returning to the band Live.